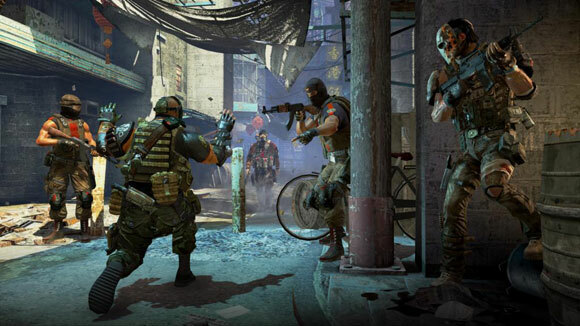 In recent months we've had extensive coverage on Army of Two: The 40th Day, and for good reason. See, we thoroughly enjoyed the first Army of Two quite a bit, but critically the game fell short in a few aspects. Fortunately for co-op sake, the developers were listening to complaints and gamer preferences. All of this feedback was used toward making Army of Two: The 40th Day the best possible co-op experience they could. In an interview with Gamasutra, Benoit Richer goes into a bit of detail as to their approach to the co-op gameplay, including encouraging player discussion through choices made together. "We took a lot of feedback from the fans on the first one, all the websites. The elements that they like, we try to push it further, like the weapon customization, co-op moves, and stuff like that. We changed the multiplayer from the ground up to make sure that it's way better now. We're doing a lot of playtests. We do a couple of the maps; for example, for a gameplay sequence, we get people from the external people in the studio to test it out and give all their feedback. So this feedback, for me in my job, is really crucial. It's like designing the map, and after that -- was the player having fun? The fun factor: is it too difficult? Is there frustration getting in? So you want to be in position." "You know, like the co-op, what we're seeing is organic; it's really important. The discussion is on that couch with the two buddies discussing it. So morality is the same thing -- "Hey, why did you take out, these hostages, man? They're good people. We're not gonna have the reward now." "I'm just having fun, and I want to shoot people. So there's this discussion going on as well [as gameplay], right? Same thing for the morality moment, when you can choose to either execute or spare someone, but if you execute you receive weapons. So there's all this discussion that it's creating. It's something that is there every time; we just wanted to have a representation in the game." Army of Two: The 40th Day has been built for you, and some could even argue by you, the gamer. We love to hear that developers are listening to our suggestions and preferences to make a game that we're going to enjoy. 40th Day is that game, and we can't wait. Army of Two: The 40th Day "Pushes Co-Op Design Forward"
Page created in 0.2314 seconds.